@rtifice is a Woodlawn-based organization that uses project-based, hands-on learning to endow participants with the tech and entrepreneurial skills that will make them the masters of their own destiny. Since 2013, we've worked to combine tech and entrepreneurial competencies in a way that will sustainably raise the economic and educational prospects of the neighborhood and surrounding areas. 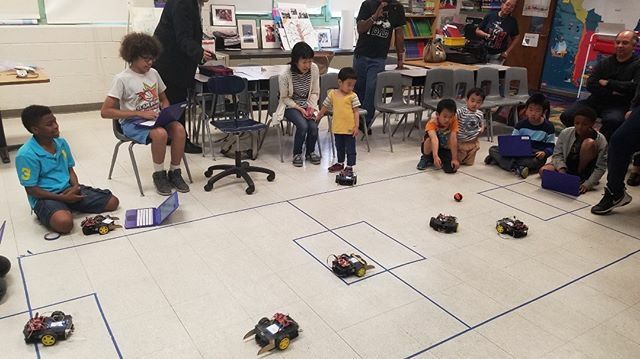 We’re so proud to officially kick off our first LEGO Mindstorms competition session at Bret Harte Elementary. December 9th we’ll be entering the regional competition at University of Chicago Lab School. Next school year, we’ll be assisting with the launch of a new site at Langston Hughes Elementary. In partnership with the University of Chicago Office of Civic engagement, we are excited to offer two internship opportunities to our community members. See the links below for more details. We’re excited to be able to offer our first ever official summer program. We’re working hard to build out our course materials to make this an awesome program!